Before showing my top pick and outstanding entries, I'd like to thank everyone for participating in the first challenge I've ever hosted. It was great to see all the entries and the innovative ways people used corrugated cardboard. 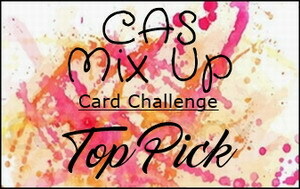 I had a very hard time deciding on the top pick!! 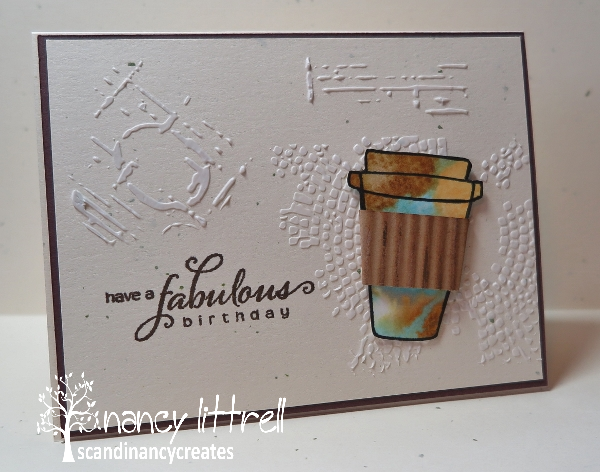 I love the way Maria used the corrugated cardboard - such a great look with only part of the top layer peeled off and the white text stamping over top of it. 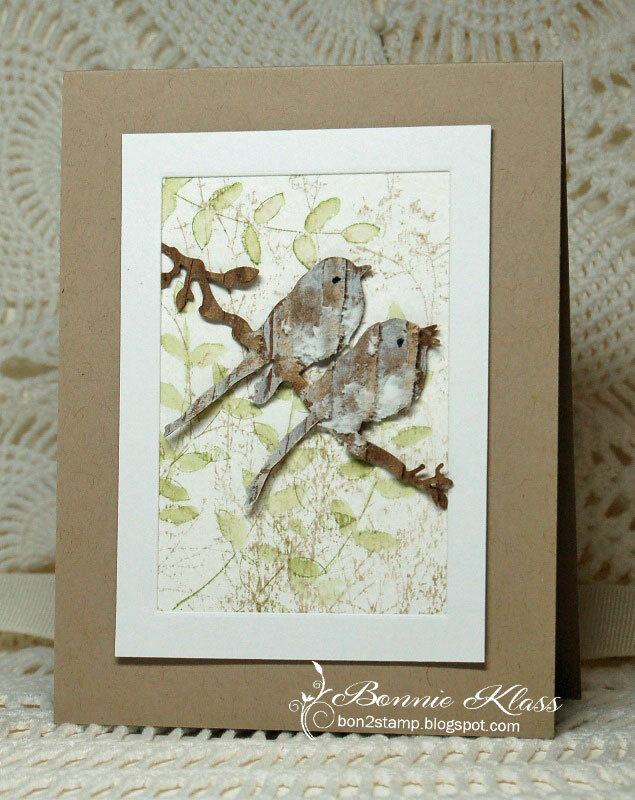 The two little birds are so sweet with the red heart providing a tiny pop of colour in the neutral colour scheme. 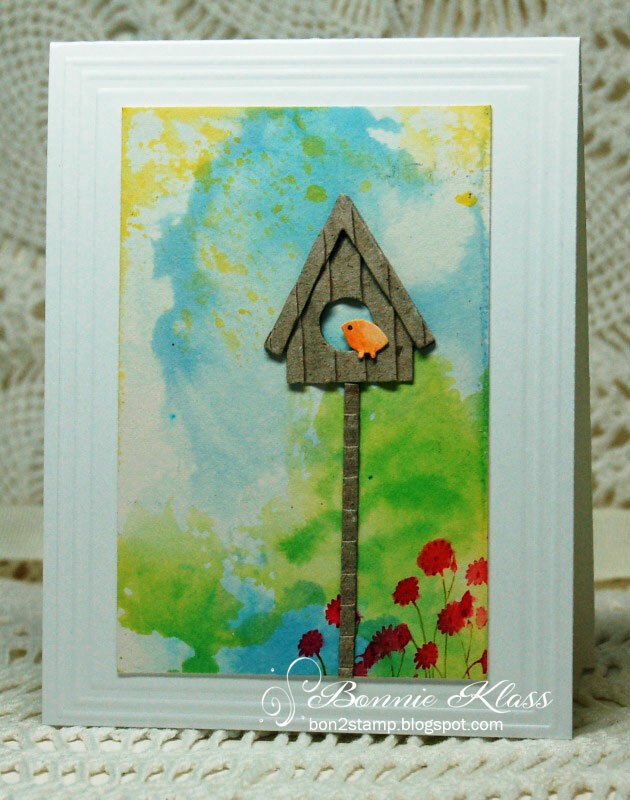 There's a wonderful feeling of lightness to the card that really appeals to me. Elaine, Pat, Susanne, and Marcia! March's challenge starts in a few days and there's something special in store. Hard to believe, but we are halfway through February already! 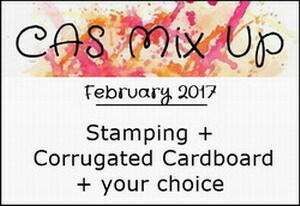 So it's time to remind you that you only have until February 24th to enter your cards for the CAS Mix Up "Corrugated Cardboard" challenge. As it's the first challenge I've ever hosted, I'm thrilled to see all the fabulous entries so far, and I'm looking forward to seeing the rest. 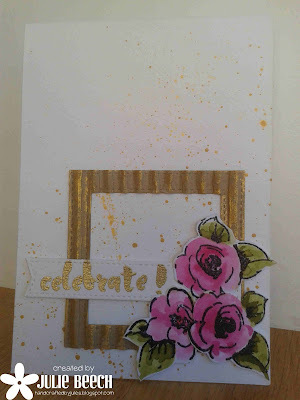 Here's some more inspiration from our wonderful Design Team and Guest Designer. Using Stamping + Corrugated Cardboard Sleeve + EB paste and Tracing Stenciling. 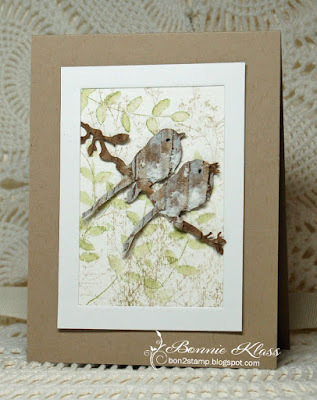 Using ripped corrugated cardboard, acrylic paint water wash, stamping, embossing and die cuts. 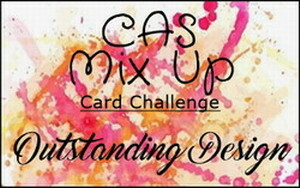 Welcome to the February CAS Mix Up challenge! We had lots of fabulous entries for the January "liquid colours" challenge. Congratulations to Marcia, who was our Pick of the Month for January! 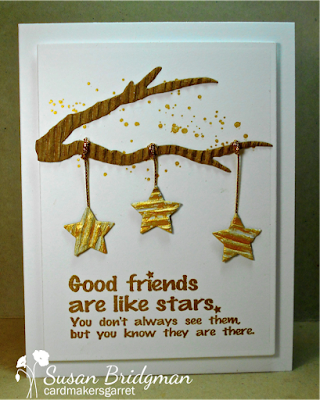 Click HERE to see Marcia's card along with some of the Outstanding Designs using Liquid Colours. 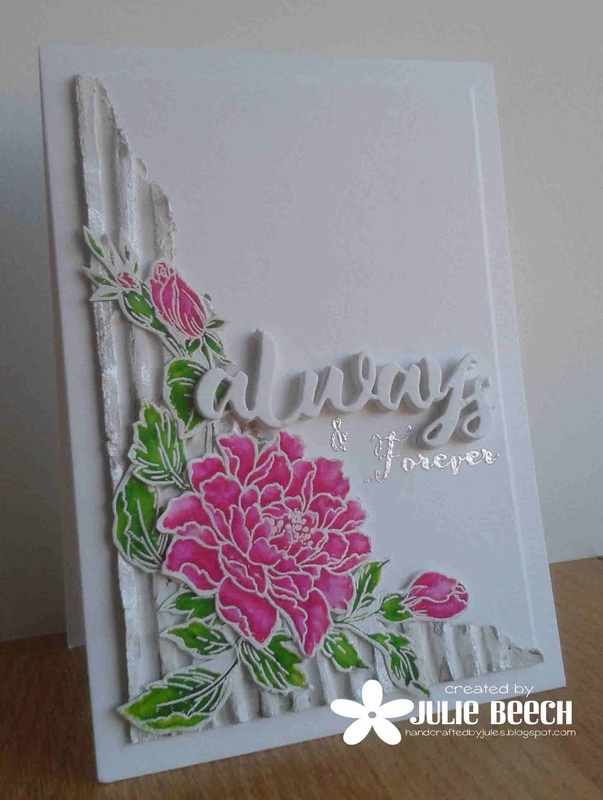 To see a close-up of all the beautiful card entries for January, check out CAS Mix Up's January Challenge Pinterest Board by clicking HERE. 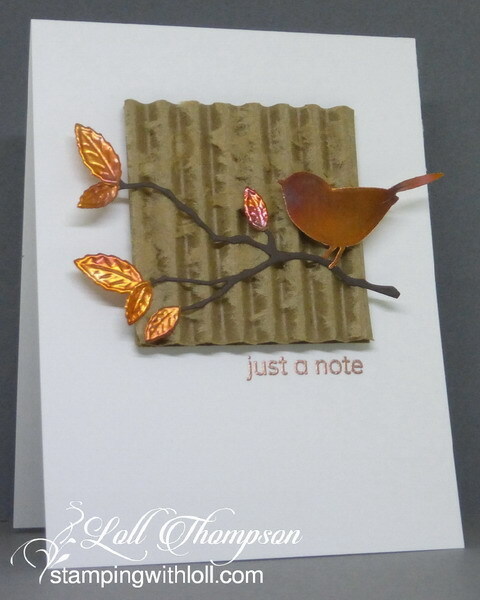 I've become quite a fan of using corrugated cardboard on a mixed media card. 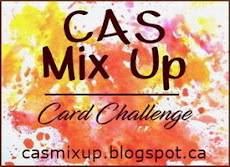 So I chose that as my challenge - the first challenge I've ever hosted (after being on the Design Team for CAS Mix Up since last May, and a little bit longer on another blog's Design Team). Thanks to Loll and Bonnie for inviting me to host this month!! 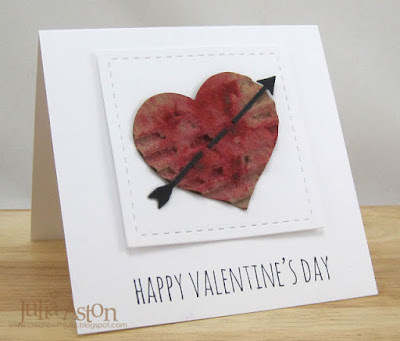 As well as using some corrugated cardboard on your card, make sure to include some stamping (a little or a lot), and then pick something from the "Your Choice" list in the right sidebar to add in. For your corrugated cardboard, you can use any kind of corrugated cardboard you like. It can be recycled from a box (but you must tear off all or part of one of the paper layers to expose the corrugation), a recycled coffee cup sleeve (as I used in my card), corrugated cardboard sold in craft shops, or even cardstock you run through your good old paper crimper. 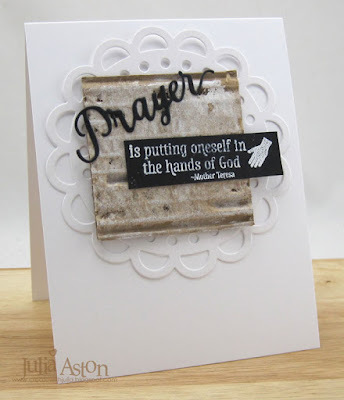 We are so excited to have Julie Beech as our Guest Designer this month. 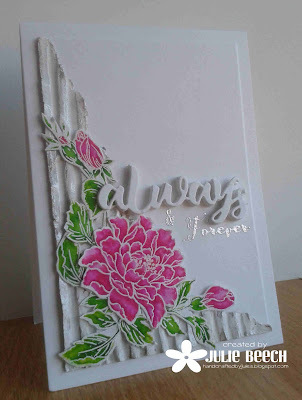 She made this gorgeous card that was the winner of December's Sponging Challenge. Using Stamping, Heat Embossing, Rubbed Inka Gold Wax, Watercolour, Die Dut and Inka Gold Wax Splatter! Using corrugated cardboard, stamping, die cutting, gesso, and gold paint. 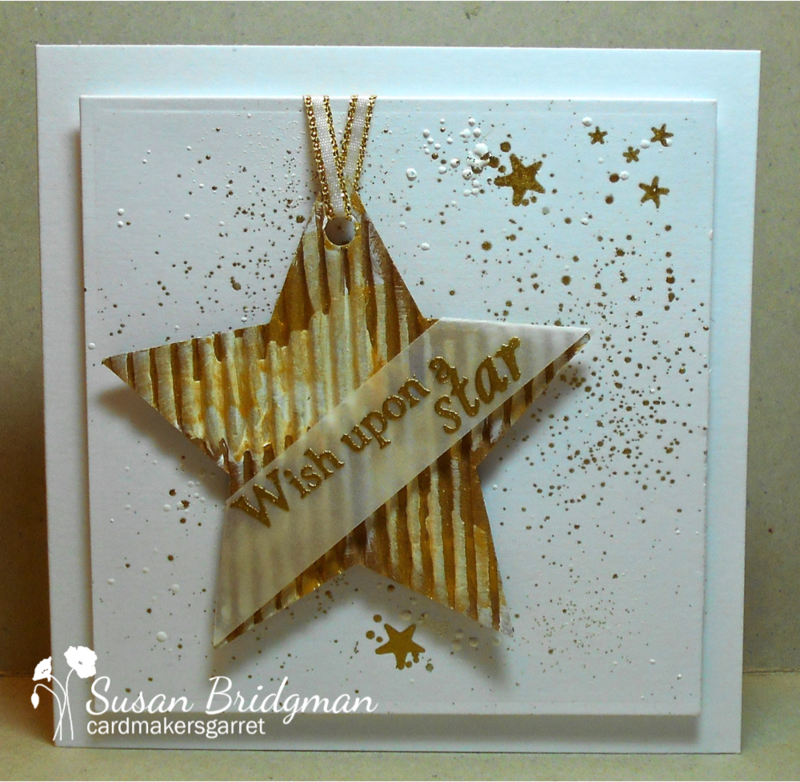 Using ripped corrugated cardboard, Brushos with water, stamping and die cuts. The challenge is open until February 24th. Come join us!